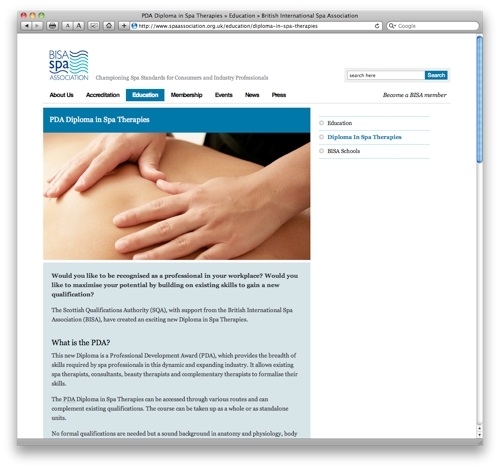 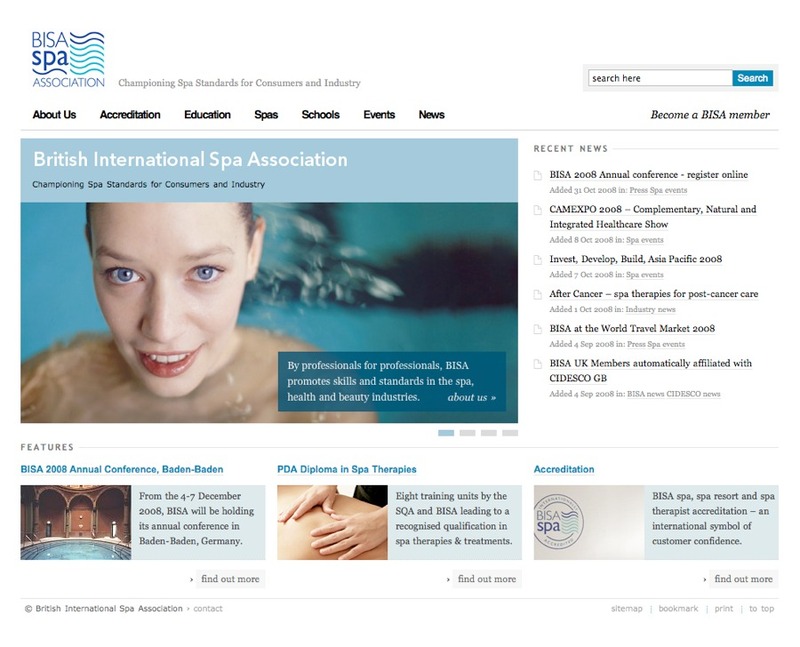 BISA is the British International Spa Association, a non-profit association with members all over the world that needed a cost-effective means of communicating their message and presenting their disparate activities in a unified format. 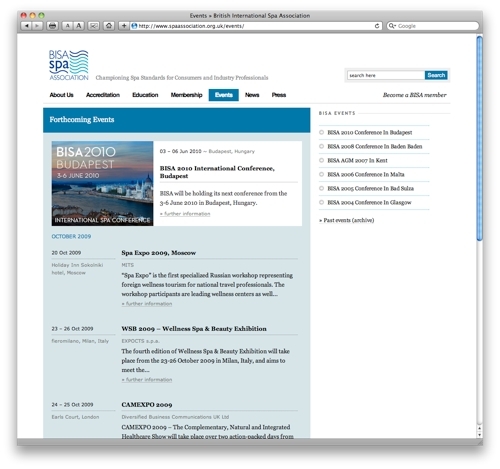 The site features a calendar of events with the ability to highlight specific events, a press database, photo gallery and a filterable directory of members. 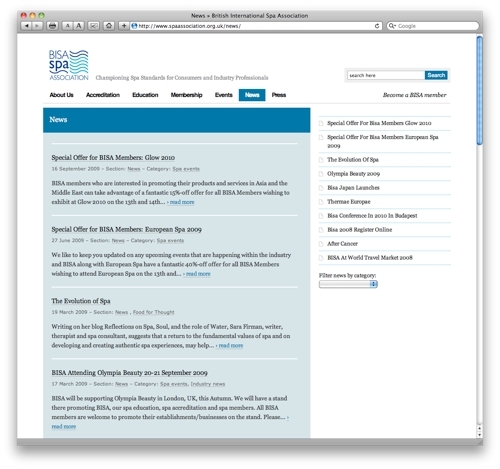 Behind-the-scenes tools allow different members of the team to contribute information for inclusion on the homepage after moderation by the site admin.